An inspiring (Flax Flower, 2006) historical novel about a woman determined to survive life’s challenges at any cost. 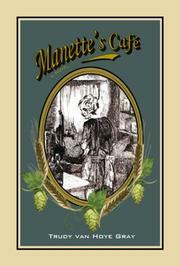 For Manette, a young Belgian woman in 1914, America offers possibility. Her fiance, Charles, goes there first, finding work and a home in faraway Chicago, where the whispers of world war feel less threatening. Manette finds the distance from Charles unbearable, so she escapes to America, despite the risks for a woman traveling alone. But after her safe arrival, she faces more danger: Charles isn’t there to meet her when she lands in New York, so she becomes a housekeeper for a priest in Ohio until she can locate him. While there, she meets the kind, handsome Jeff, who’s interested in her in spite of her unavailability. She finds herself torn between the two men, but when she finds Charles’ new address, she feels she must return to him as she’d pledged to do. Manette and Charles marry and have children immediately, but Manette is soon overwhelmed by motherhood, and as the world prepares for war, Charles loses his job and begins to panic. He decides to brew beer illegally, which soon sets them right financially but puts them in danger of arrest. Meanwhile, Manette becomes more fearful of Charles’ jealous nature and controlling attitude. In Manette’s coming-of-age story, she learns to become her own person, apart from the men in her life. Van Hoye Gray effectively portrays Manette’s impressive strength and courage as she moves past obstacles and matures beyond her years. Through the lens of Manette’s own war for independence, the author treats the reader to a rich account of Prohibition and World War I-era America. Readers may find that this plucky heroine and her well-told story will stay with them long after her story ends. An engaging historical tale of self-discovery in the early 20th century.